Schuylkill River Greenways operates and maintains more than 30 miles of the Schuylkill River Trail in Berks and Schuylkill Counties. Maintenance and upkeep along these sections of the trail are done solely by volunteers. Below is a breakdown of the participation options for helping care for the trail. 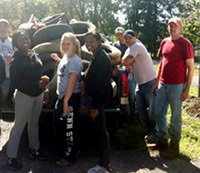 If you are interested in volunteering, or would like more information on any of the programs listed, please call Schuylkill River Greenways at 484-945-0200, or email Trails Project Manager Robert Folwell at rfolwell@schuylkillriver.org. Both the Bartram Section of the Schuylkill River Trail (in Schuylkill and Upper Berks Counties) and the Thun Section (from Pottstown to Reading in Berks County) have volunteer coordinators who oversee regular maintenance along those parts of the trail. The coordinators organize work days periodically for trail upkeep, such as pruning branches, cutting back overgrowth and removing litter. 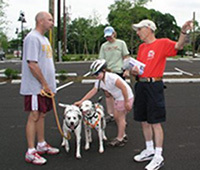 Schuylkill River Greenways notifies all volunteers when a work day is planned. Work days are scheduled as needed throughout the year, but more often during the warmer months. Contact rfolwell@schuylkillriver.org to learn more about our Trail Keepers Program. 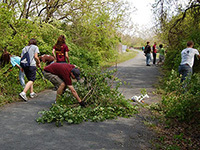 Trail users over the age of 18 who regularly frequent the trail and wish to volunteer for a minimum of 8 hours a month from April through October are eligible to become Schuylkill River Trail Ambassadors. The Trail Ambassador program was established in an effort to provide information and assistance to other trail users. All ambassadors receive training and are issued red identifying shirts and a backpack with maps and first aid supplies. Contact srtambassador@gmail.com to learn more about our Trail Ambassador Program. Click here for a Trail Ambassador Application and description of duties. Current Trail Ambassadors: CLICK HERE to log trail hours. 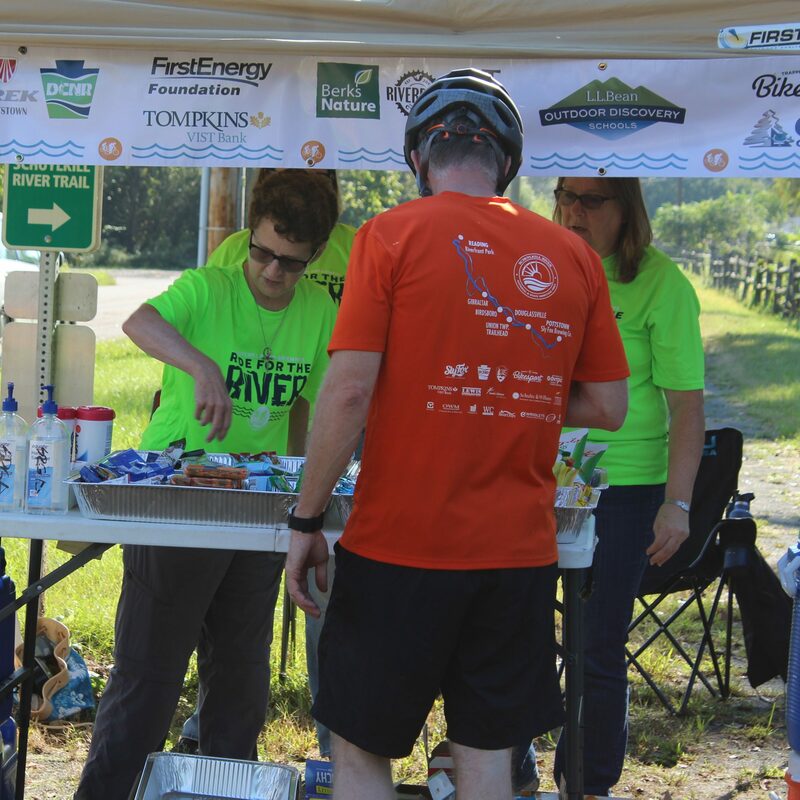 Schuylkill River Greenways is always looking for volunteer groups or individuals to help during our many special events held throughout the year. Some of the events offered include the SRT Spree, Ride for the River, and Scenes of the Schuylkill Art Show. Volunteers are needed to do a variety of tasks depending on the event including being a member of the planning committee. We welcome school groups, scout troops, community service organizations, church groups and others who wish to participate in a one-time project such as litter cleanup, bush cutting, ditch clearing and, occasionally, trail resurfacing. Typically such projects take about three hours. 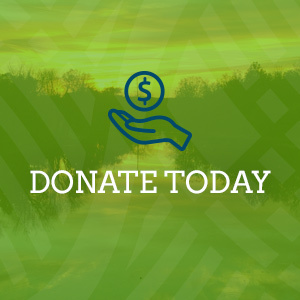 In addition, skilled workers such as masons, carpenters or back hoe operators who are seeking volunteer opportunities can also assist with special projects like building steps, improving trail heads and addressing drainage issues. 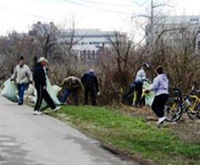 This program is intended for groups who are willing to commit to trail projects, such as litter cleanups and pruning, three times a year for two years along a specified segment of trail. 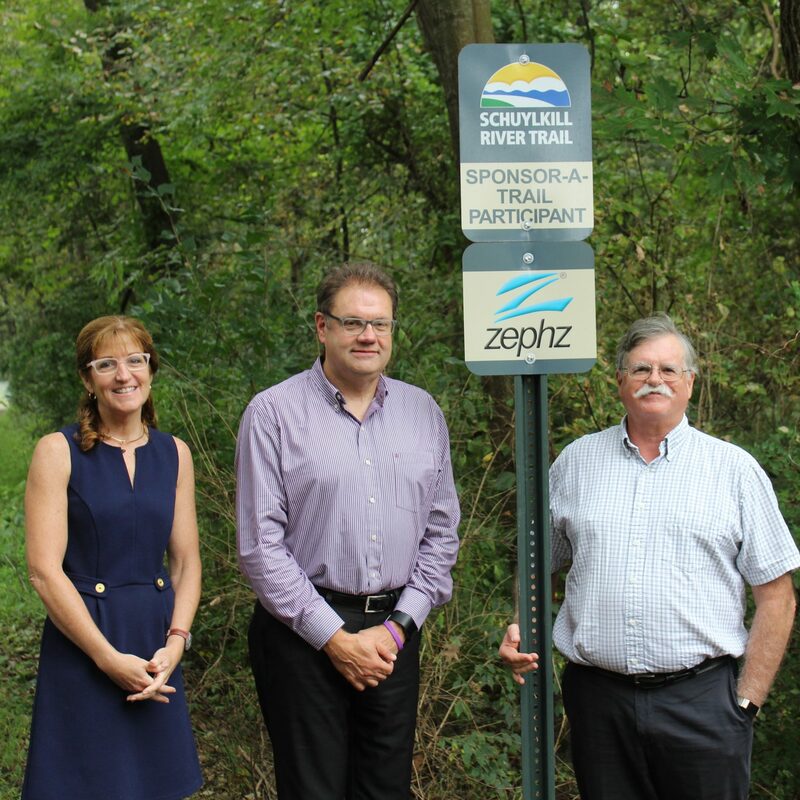 A sign recognizing the group as an Adopt-a-Trail participant will be erected near the assigned segment. 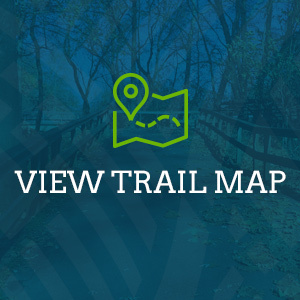 This program is targeted to businesses and organizations who wish to make a two- to three-year financial commitment to support costs associated with trail management and maintenance for a specified segment of the trail. Signs acknowledging participants are posted along the sponsored segment.